This is a sponsored post. Indy with Kids is proud to partner with Elite Game Trucks to spread the word about a fun birthday party activity. I can’t even tell you how many times I’ve been asked for ideas for children’s birthday parties. It seems like the older they get, the more difficult it becomes to find something that they love and be excited to share with their friends. That’s why I’m stoked to tell you about Elite Game Truck. With 9 TV’s and 5 different game consoles, this self contained truck pulls up to your home, office, school, church, you name it and the party is ready to go. Rain or shine, they bring the party to you. Birthday parties, graduations, grand openings, block parties, fundraisers, sports parties, we can be at any event. Parents are welcome to play too, but it’s not required. This beautiful truck will draw a crowd wherever it goes. When up to 36 players can play at once, this is one party activity that will keep everyone in the game! 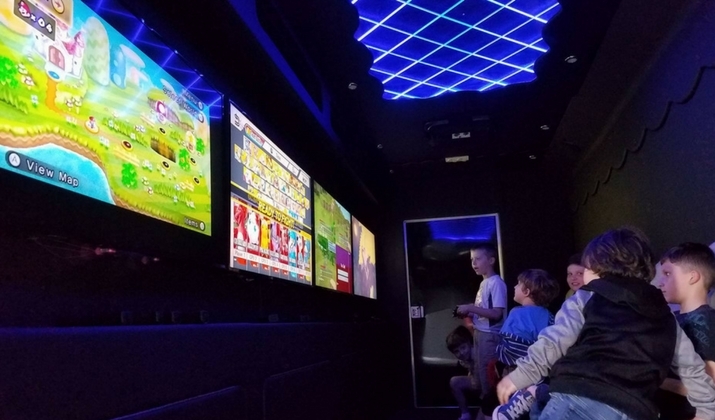 I have one more big win for you, with Elite Game Trucks, a game coach is on hand to help kids and ensure they have an awesome party! Find even more birthday party ideas for kids on Indy with Kids.